My names John & I’m from Georges Hall which is in the south west suburbs of Sydney. I’m 39 years old & have lost an incredible 45kgs since starting on this great product back on September 5th, 2016. I decided to change my life after playing in a child vs parent soccer game against my daughter’s team & I took a fall and fractured a rib! I knew it was time to do something about my weight and was shocked when I weighed myself & was 141kgs. 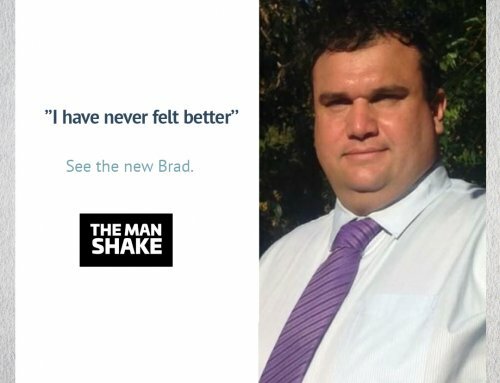 I had heard Man Shake ads listening to the radio at work & I thought I’d give that a crack. 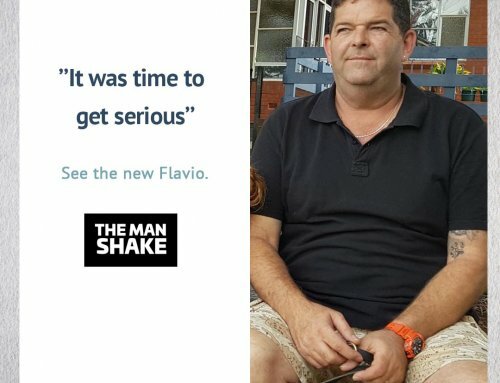 After trying several times to just diet on my own without any real success I thought I need help to get me started & was surprised how easy it was with The Man Shake. I never really felt hungry & started seeing results immediately after losing 6kgs in the first week & from that moment I was hooked! I set myself a goal to get under 100kgs & I reached that goal in just under 7 months. I never set foot in a gym, just did a hell of a lot of walking & completely changed my diet by cutting out pretty much all sugars & carbs. I now weigh 96kgs & have maintained that weight for nearly two months now. Since losing my weight I have a lot more energy & am able to run around with my daughters & go bike riding without any trouble whereas before a day out was a trip to McDonald’s or KFC! I’ve even got involved in my daughter’s tee-ball team & I’m part of the coaching of her team. 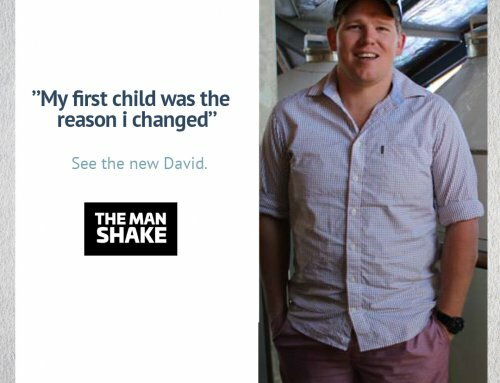 Making the decision to start The Man Shake has not only changed my life but I have seen changes in my daughters eating habits & has also inspired my wife to make changes also & has also lost around 25kgs, between us losing around 70kgs. 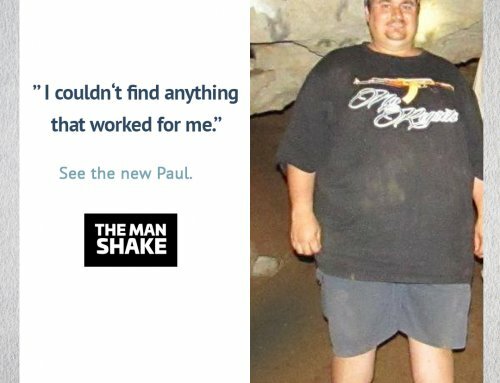 I would definitely recommend any guys looking to turn their lives around to give The Man Shake a try & if you stay committed & make a few other changes in your life then you’ll more than likely see results. 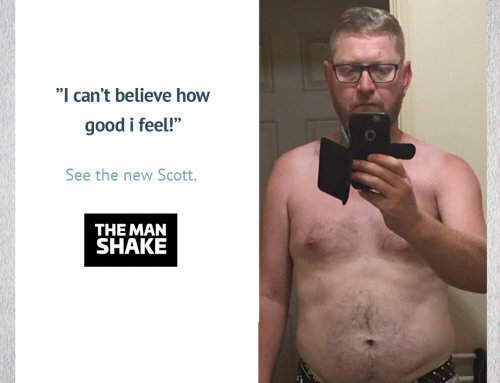 I’m gonna continue using The Man Shake, mainly for breakfast as I work early & is too hard to have a healthy start to the day to help me maintain my weight. A huge thanks to Adam & your amazing product for giving me my life back.